Many of the activities you engage in, although (possibly) well-intentioned, actually hinder you from achieving far more. They cost you time, money, energy, lost opportunities, and clients! 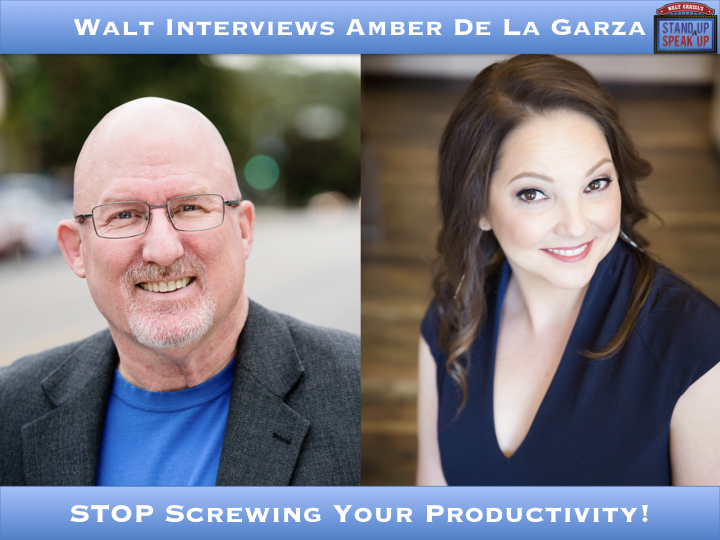 Amber De La Garza is The Productivity Specialist! Amber is a sought-after coach, trainer, speaker, writer. She is the host of the Productivity Straight Talk podcast. Amber helps entrepreneurs take consistent, massive, focused action in business. She equips them with the specific techniques needed to reduce stress, increase profits, make more time for what matters most, and achieve their vision of success.